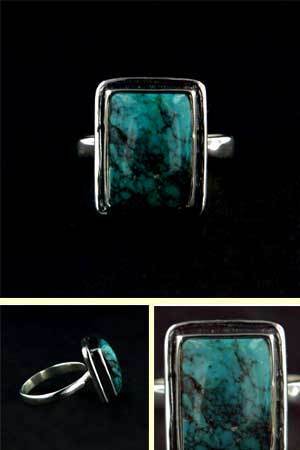 Classic turquoise ring with a large rectangular turquoise stone set into a plain sterling silver band. 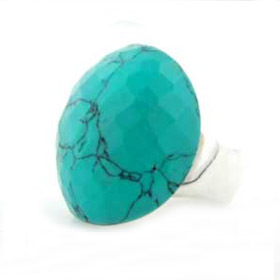 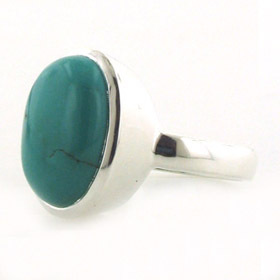 Sporting a beautifully coloured natural turquoise gemstone, this classic design will enhance any finger. 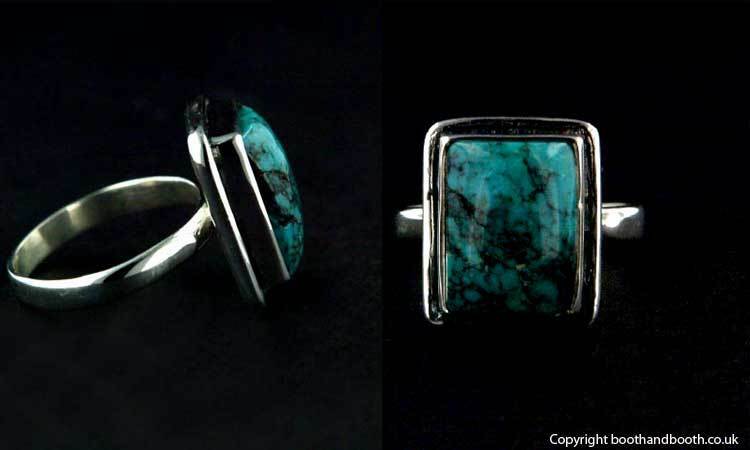 A beautiful turquoise ring to accompany other turquoise jewellery. 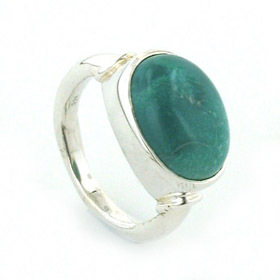 Choose your size for this turquoise silver ring from the drop down menu. 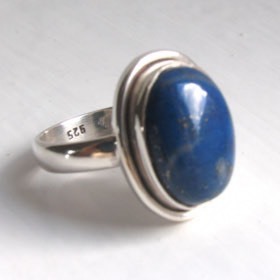 We give the UK sizes and the equivalent USA.